New Government Risk Assessment proves conclusively that flameproof mattresses contain acutely toxic and cancer causing chemicals. It also proves conclusively, that these chemicals leach through our sheets and are absorbed by our bodies. This is fact! The only question remaining is how much poison will we really absorb, and is this safe for everyone? By assuming, without data, that we will absorb only 2/1,000’s per hour of the chemical that has leached through our mattress and is in contact with our bodies, the government says we will absorb a daily dose of .802 mg Antimony, .081 mg Boric Acid, .073 mg DBDPO, every day for the rest of our lives. The U.S. Consumer Products Safety Commission (CPSC) internal report concludes this amount of poison absorption is safe for everyone, except children under age five, who they excluded from their risk assessment by assuming all these children will be protected by a vinyl sheet over their mattresses, due to bedwetting problems. Other research proves Antimony leaches through vinyl on mattresses and is linked to SIDS. Crib and youth mattresses must also be flameproof under the law. Are You Sleeping In Boric Acid Roach Killer Yet? The independent review, required by law, complained repeatedly the CPSC assumptions of safe levels of toxin absorptions do not agree with other agencies. The EPA safe level for Antimony is 5,750 times less than the CPSC assumption. If you use the EPA number in CPSC safety factor calculations it proves mattress toxic by 27.5 times. The innerspring mattress industry went to the CPSC and asked for and pushed for this law. While publicly saying they want to save lives the past president of the number two mattress maker was quoted on the issue: “The industry’s base will be higher. People will pay more for bedding. In the final analysis, it will be a benefit.” “He also predicted the addition of fire-resistant materials would boost the industry’s flagship brands because it would reduce the price gap between promotional models and the beginning of the flagship lines.” It will hurt small business, help big business, and they will make more money. All new mattresses sold in California and over half and growing sold nationwide contain toxins to meet the law. There are no labeling requirements of the chemicals in beds. Mattress makers are under no obligation to tell the truth. They all claim they don’t use chemicals or say their systems are nontoxic. The CPSC Table 1 of chemicals used proves these statements wrong. There are no chemical free and safe systems. There can be two pounds of poison in the surface of your mattress. All the Boric Acid systems also contain Antimony. Other systems include Formaldehyde, Silicon, or Ammonium Polyphosphate, but these were not studied. The CPSC did prove Ammonium Polyphosphate leaches from mattresses in large quantities. It is doubtful our children absorbing this fertilizer will grow any better. 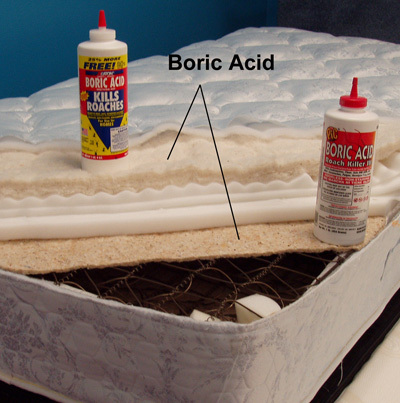 Over a pound of Boric Acid exists as loose dust simply mixed with cotton fibers in flameproof mattresses. It is a known respiratory irritant, also used as Roach Killer, is a known reproductive and developmental toxin, “Demonstrated injury to the gonads and to the developing fetus.” “High prenatal mortality. Neonatal children are unusually susceptible.” One human chronic exposure study showed reduced sexual activity and sperm counts. There are already 6,463 U.S. cases of Boric Acid poisoning each year. DBDPO, Deca, is in the family of PBDE’s being found in women’s breast milk, is known to bioaccumulate, and is linked to cancer. The CPSC hopes to save up to 270 people annually after all existing mattresses are replaced. With 300 million people in the U.S. this puts you mattress fire risk at less than one in one million. The CPSC is passing another law for upholstered furniture, and still another for our top of the bed items including: mattress pads, comforters, bedspreads, and pillows, which will require the same chemicals. 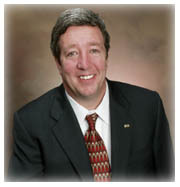 Mark Strobel, a mattress manufacturer, has led the fight against this law. He visited the California capitol and lobbied against the state law. He put up the website and started the group People For Clean Beds, and generated 800 public and doctor comments sent to the CPSC against the national law, and got some news for the issue including the Washington Post, where the number two mattress maker admitted using chemicals including Boric Acid. The new risk in our modern world is our exposure to toxic substances. The National Safety Council says 17,550 people die each year from “Accidental poisoning by and exposure to noxious substances," this number now exceeds deaths in car accidents. Only 38 days after completion of their flawed internal risk assessment, CPSC Commissioners voted 3-0 to enact the national law on 2-16-06. Mattresses must withstand a blowtorch open flame two feet wide for 70 seconds and not ignite for 30 minutes, which requires a lot of chemical. This is the first major rule, one that impacts the economy by more than 100 million dollars annually, ever passed in the agency’s history. Indeed, it will cost consumers over 1 billion annually. It’s no wonder the innerspring mattress industry pushed for this law. It is fully effective 7-1-07, but already over half and growing of new mattresses contain toxins. There are no labeling requirements, and many manufacturers make no claims of their beds being fireproof. Thus, it is impossible to know if you are getting a clean bed. Strobel has many Patents and offers a full line of great mattresses, including crib size, and adjustable beds, plus pads and pillows. Many mattresses include his Patented “Lever Support System” which conforms to the shape of the spine giving Proven Best Back Support, 90% Less Tossing and Turning, and Clinically Proven Better Sleep. Call Strobel at 800-457-6442 for a free information package. “As with any risk assessment, there are assumptions, limitations, and sources of uncertainty. … it should be noted that percutaneous [skin] absorption data were not available for antimony.” P 40. They assume skin absorption for Antimony to be .002, 2/1,000’s, and .00009, 9/100,000’s Boric Acid, per hour of the chemical that has leached through the mattress and is in contact with our bodies. Table 8, p 27. The National Safety Council says 17,550 people die each year from “Accidental poisoning by and exposure to noxious substances," this number now exceeds deaths in car accidents.